5 Important Hair Care Tips that Every Girl with Long Hair Should Follow! While plenty of girls would kill for waist-grazing strands, the ladies who do have Rapunzel-esque locks could unknowingly be abusing them. Don’t worry, it’s not your fault - once your hair grows past shoulder level, it comes with a host of long hair problems! We give you a list of common mistakes all girls with long hair are guilty of making...Try these solutions before you decide to cut it short, out of frustration. Here are some tips for long hair… For that lustrous mane you’ve always wanted! Also read: 7 Fabulous Haircuts For Long Hair (Without Going Short!) When you have long hair, most of the time you just want to get it out of the way. 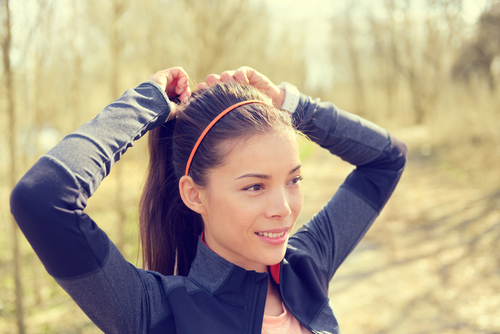 The ponytail is the most common hairstyle for girls with long hair, whether you’re working out or just want to get your hair off your face and neck in this heat. Tying your hair into a ponytail regularly, however, weakens the roots as your strands weigh them down, causing breakage. The Solution: The easy and effortlessly stylish top knot is a great tip for girls who have long hair. In fact, it’s a fave off-duty style for most celebs. French braids or loose plaits are also great hairstyles for girls with long hair as they look so cute!! Also read: 9 Simple (But Amazing) Tips To Make Your Hair Grow… Faster! We know, when you have long hair, it somehow gets tangled so damn easily! Your locks get knotted pretty fast and it can be quite a pain. 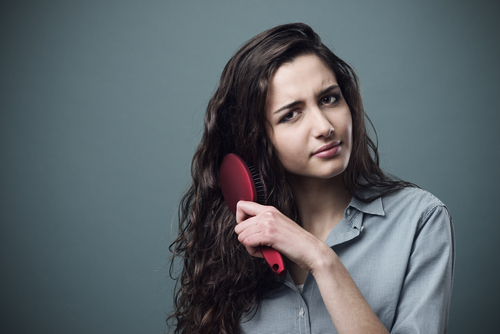 Brushing your hair when it’s either wet or dry to get rid of annoying knots can seriously lead to a lot of shedding, so here’s an important tip for girls with long hair: The Solution: For detangling your long hair, the best tip is to use a wide tooth comb in the shower when you have your conditioner on. Once your strands are completely detangled, rinse it off. Also, try to not run your brush through your knots when your hair is dry without using a moisturizing product. Any detangling cream or regular serum is a must, before running your brush through your locks to avoid hair fall. An important tip for combing long hair is to start from the ends and work your way up..
Also read: No Hairwash? No Problem! The BEST Dry Shampoos To Save The Day Who said dry shampoo was just for a second or even third-day hair? Yes, it’s fabulous for when you don’t feel like washing your hair, but it can also be used on just-washed locks. In fact, if you use hair Spray on freshly styled/blow-dried hair, you’re damaging your mane. The Solution: Hair Spray tends to be sticky and is very drying on our strands. 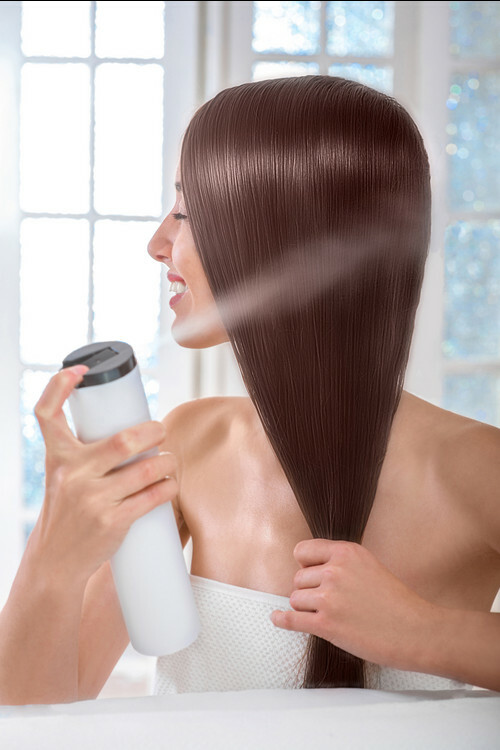 Whether you have short or long hair, an important tip is to use dry shampoo right after you blow dry for some hold as well as for a bit of volume and texture..
Also read: 8 Home Remedies To Help Your Hair Grow Super Long (And Strong!) When was the last time you oiled your hair? Our roots are prone to losing strength with our daily life and stress. Oiling gives that much-needed boost that your mane needs. 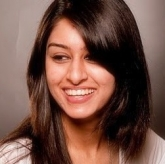 Thus, it is one of the most important tips for attaining softer and longer hair. The Solution: You strands need the extra moisture for strength and shine. Plus, massaging your scalp is the best way to stimulate circulation for stronger hair and to bring life to dull strands. With healthy and long hair, girls can opt for many new and chic hairstyles. Also read: 6 Bedtime Styling Tricks To Wake Up To PERFECT Hair!! Most of us sleep with our hair loose and have never given it a second thought. But it’s one of the main ways we’re damaging our locks. All that twisting and turning against our pillow causes friction, leading to hair fall and frizziness. The Solution: This could be the reason behind your hair woes. A vital tip for long hair is to simply tie your locks into a loose bun or braid before hitting the sack. Using a silk/satin pillowcase is also a fantastic idea to prevent friction. Images: Shutterstock HAVE A STORY IDEA FOR POPxo? If you want to hear about it, we can write about it! Just tell us your idea here!